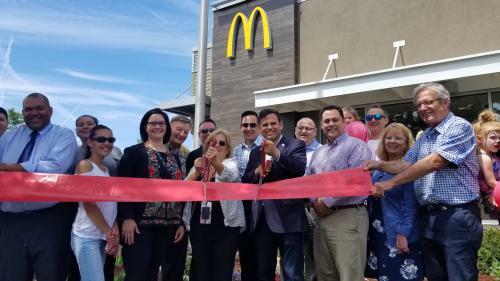 From left: Students participate in the ribbon cutting with Ward 5 School Committee Member Tara Murphy Beardsley (holding scissors), Mayor Gary Christenson and Malden Reads Member Linda Zalk. 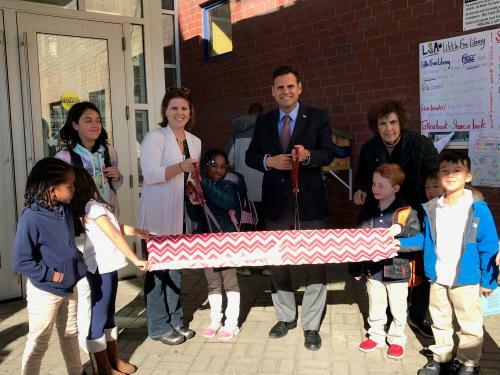 Ward 5 School Committee Member Tara Murphy Beardsley welcomed Mayor Gary Christenson, Superintendent of Schools John Oteri, students, families and the public at a recent ribbon cutting for the brand-new Little Free Library at Malden’s Linden STEAM Academy. This library is part of nonprofit Little Free Library’s endeavor to bring people together, encourage the sharing of books and create communities of readers. Little Free Library has facilitated the exchange of millions of books around the world annually. 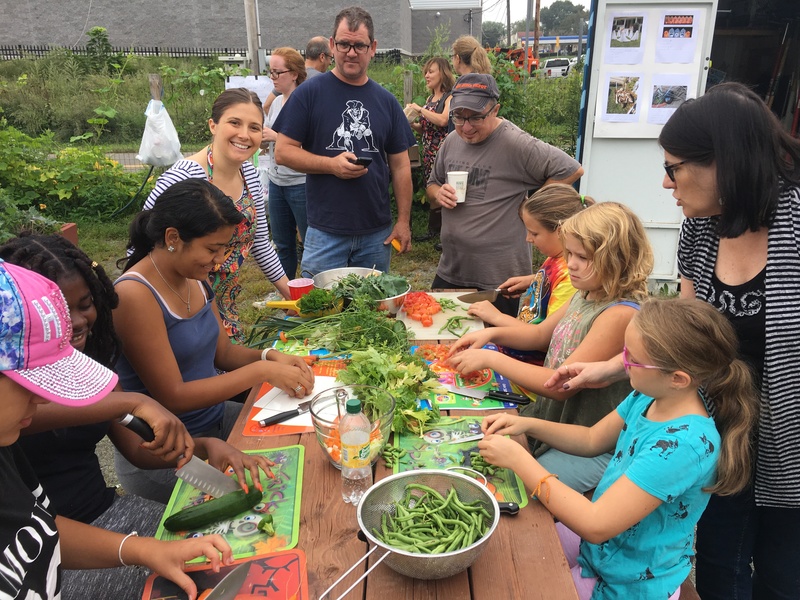 A citywide effort began when the Linden STEAM Academy received an Impact Grant from Little Free Library. Elementary Teacher Kathleen Christensen held a contest to design the outside of the library, which was won by former 8th grade student Juliana Davidson. Her design utilized Linden themes and the Dr. Seuss quote, “You can find magic wherever you look, sit back and relax, all you need is a book.” K-8 Art Teacher Meghan Lalumiere and her students added finishing touches by painting the inside of the library and the pole. The City installed brackets on the building that hold the library in place. New and used books were generously donated by the Linden Branch Library, Malden Reads and Little Free Library. More than 100 new and used books were donated to children and families at the ribbon cutting. The Little Free Library is located at the Linden entrance closest to the park and will be open seven days a week. The expectation is that the library will encourage students to read, and a full-time librarian might be employed. Beardsley is working to get Little Free Libraries built and installed at every school with a goal of them being fully operational by the end of the 2018-2019 school year. Little Free Library is a nonprofit organization that has been honored by the Library of Congress, the National Book Foundation, and the American Library Association. Each year nearly 10 million books are shared in Little Free Libraries. To learn more, please visit littlefreelibrary.org.